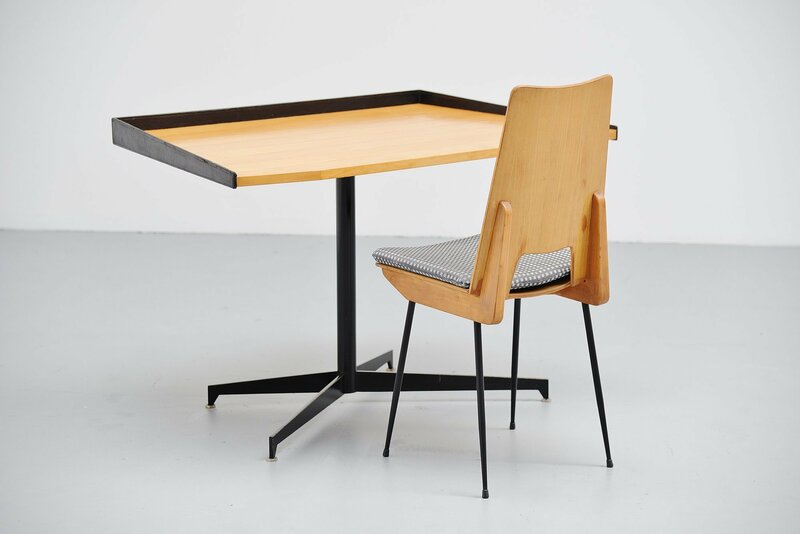 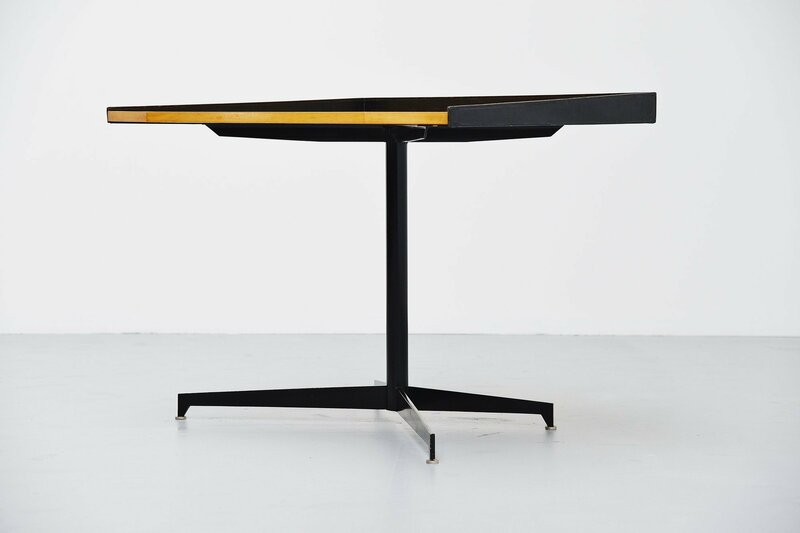 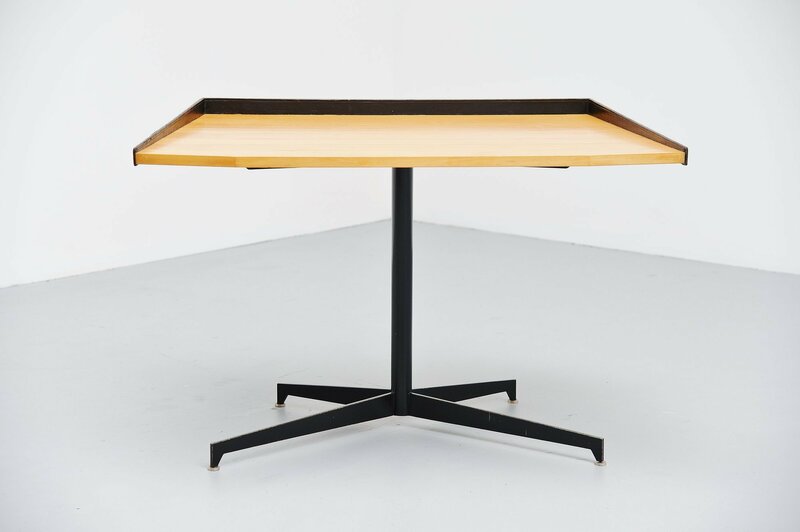 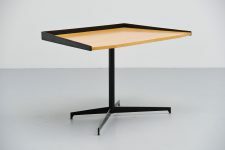 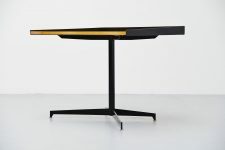 Fantastic shaped small writing desk in the manner of Osvaldo Borsani for Tecno, Italy 1950. 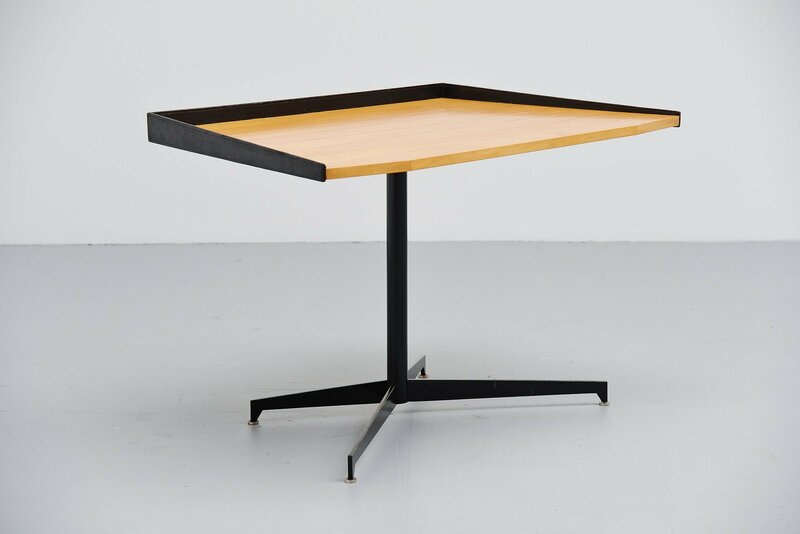 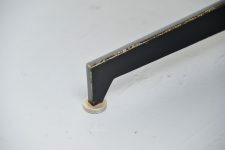 This desk has a black painted metal frame with cross shaped base. 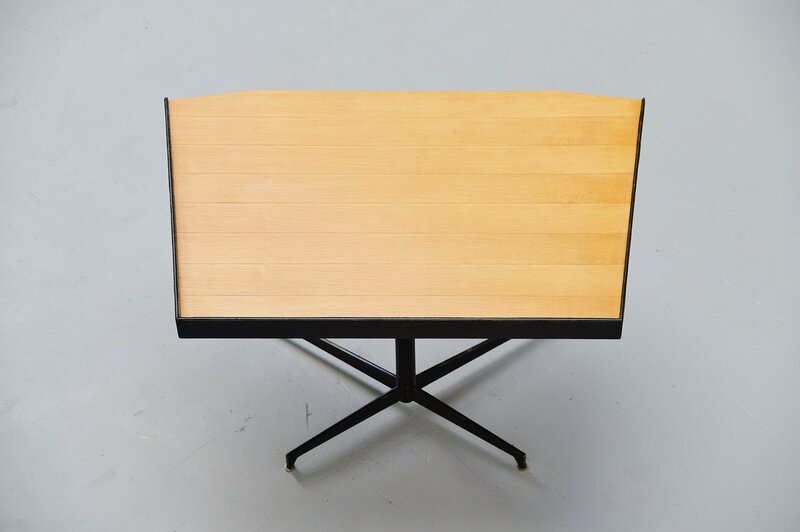 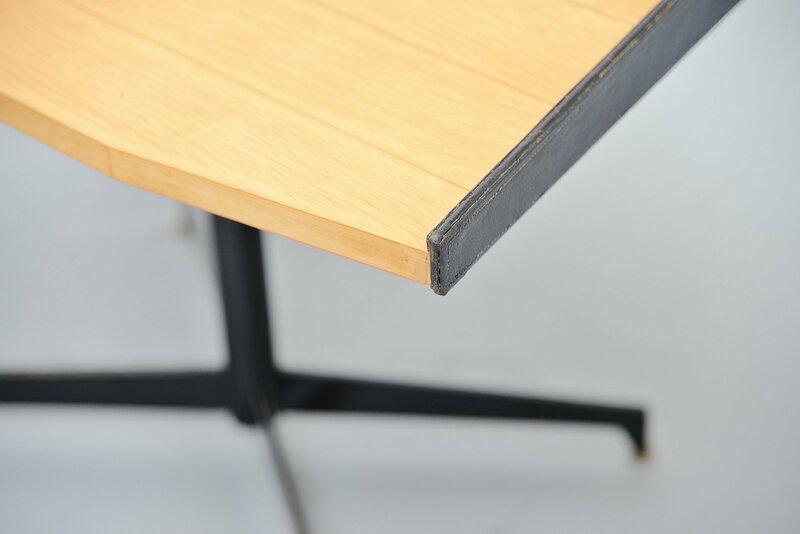 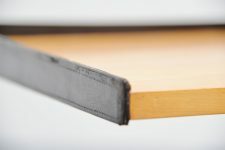 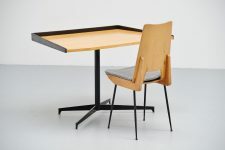 The top is made of birch plywood veneer and the edges are made of black leather. 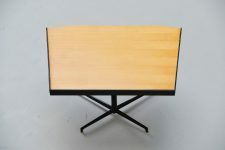 Very nice and high quality desk in good original condition with minimal wear from age and usage.